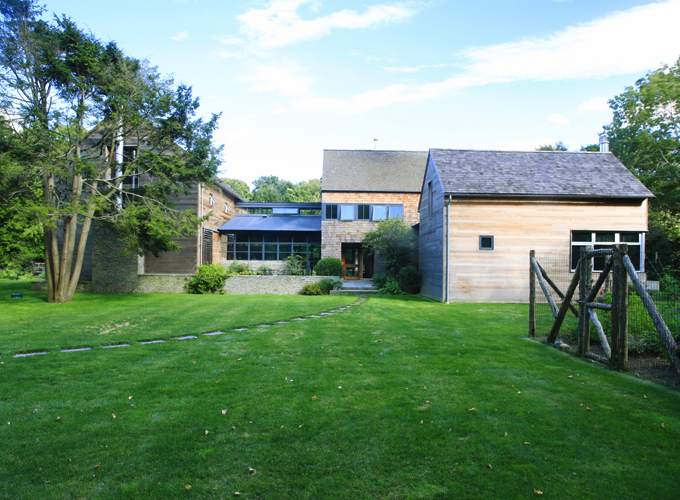 So, after my last post, I was eager to find a beautiful home that used reclaimed materials in the building process. This one caught my eye…. 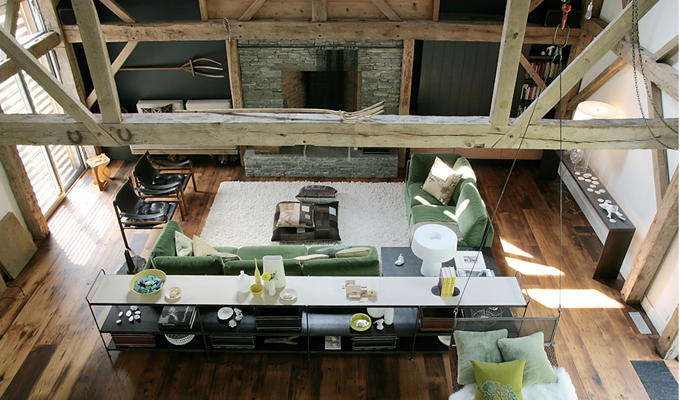 Would you believe that this gorgeous residence used an old barn frame for the main living quarters!? 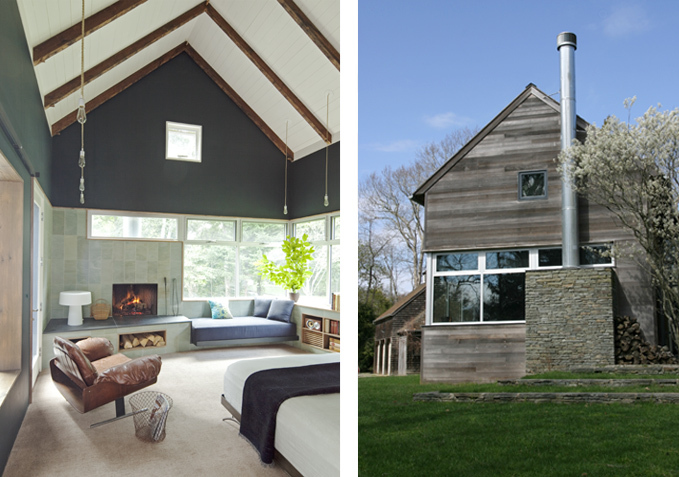 Yup…an old barn in the area was going to be torn down, so the genius team over at Alex Scott Porter Design saved it and put it to good use in this home! I love how the old and the new come together to create an interior with such unique character, rich in texture and contrast. 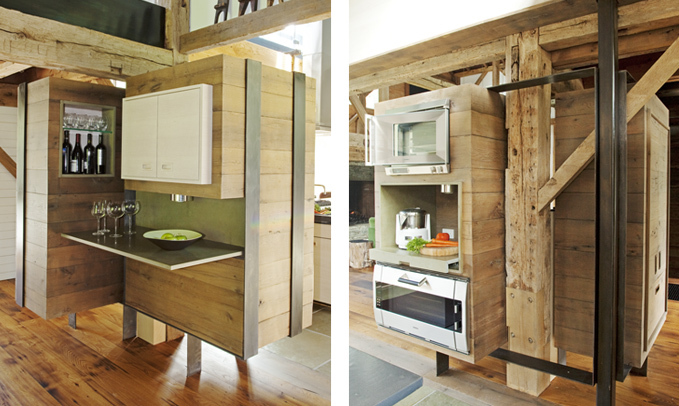 Who says an old barn can’t do new tricks? 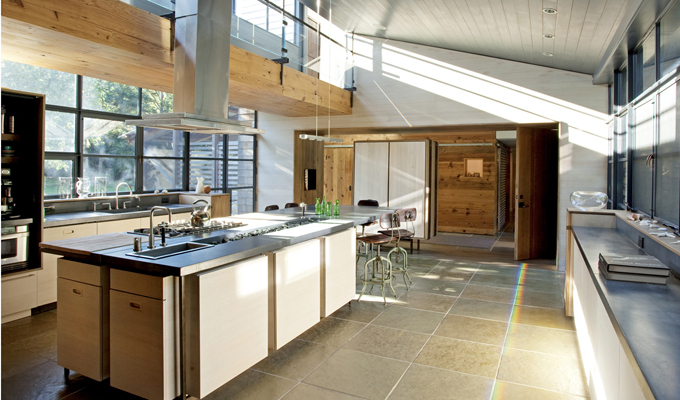 This home truly illustrates the exciting possibilities of forward thinking, eco-conscious design! Great juxtaposition of old and new! Where is this house? Hi Bruce! Glad you enjoyed this post. 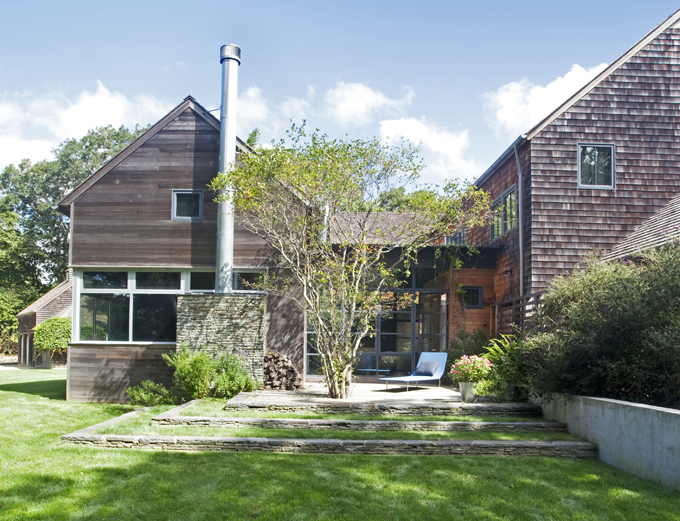 This home is actually located in Amagansett, NY. Thanks for stopping by! A very great blend of old and new. 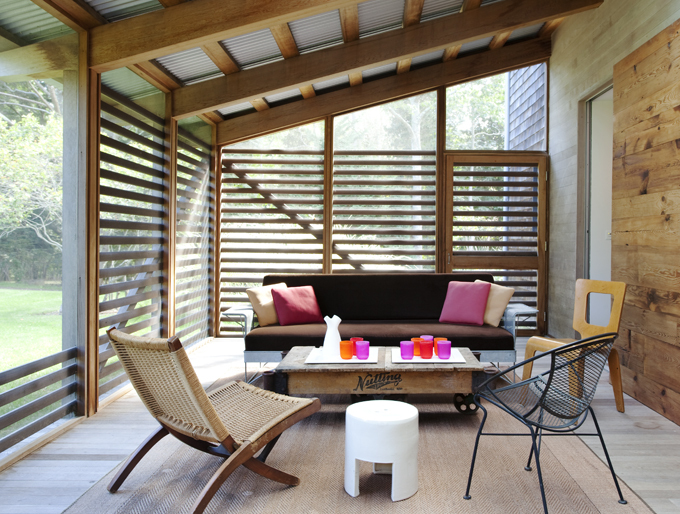 Like the look of the screen porch, more like a drying extension. Cool metal framed cluster for the microwave. So great! What a dream, turned out perfectly.